Our accredited practising dietitians Loretta Byrd and Jo Oddo met while studying Dietetics at University. They are both members of the Dietitians Association of Australia with Master Degrees in Nutrition and Dietetics. Jo has additional qualifications as a Sports Dietitian and she is also a Personal Trainer. Loretta has completed additional studies in Diabetes Education. 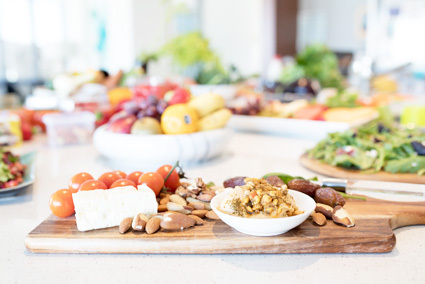 With complementary areas of interest, they present a well-rounded approach to nutrition in the Mount Hawthorn area. Together, they’re committed to delivering results tailored to each individual’s health goals. We believe we can contribute to a healthier you whether it be via sports nutrition and personal training or with chronic health management. We welcome the opportunity to assist you with our evidenced-based nutritional and dietetic advice and solutions. Jo’s areas of focus include sports nutrition, particularly in the area of body building. She has competed in various body building federations and her experience can help in achieving result for those with an interest in bikini or fitness contests. Loretta’s additional studies include chronic health management and she enjoys assisting clients to achieve their health goals whilst managing their condition whether it be diabetes, overweight and obesity and cholesterol or heart issues. We understand the need for viable health programs that meet both the needs of the individual and are cost effective for the workplace. We offer training, advice and workshops to help improve the lifestyle and health of your employees. We have worked with onsite lifestyle coordinators and have provided expertise to improve nutrition program delivery.